One of the things that is not implemented in the Secure Shell Chrome extension is the ability to remove know_host fingerprints which alert you if the fingerprint for a specific IP address has changed. However there are times when you upgrade a systems and this need to be done. Add correct host key in /.ssh/known_hosts to get rid of this message. ECDSA host key for xxxxxxxxxxxxx.yyy.au has changed and you have requested strict checking. NaCl plugin exited with status code 255. (R)econnect, (C)hoose another connection, or E(x)it? Here is how to remove a known host fingerprint (from known_hosts) on a Chromebook. Replace INDEX with the number obviously. There are plenty of sites out there that give advise on this topic, unfortunately most of them are highly ad-infested to the point of being unreadable as well as only containing single bit rather that an overall picture. This is a collection of useful links to source materials as well as steps necessary to install. Crouton Github: https://github.com/dnschneid/crouton – Thank you David Schneider for the excellent work !!! CTRL+Alt+t to open Cronos Prompt + type “shell” to enter proper bash shell. I generally install LXDE on ‘resource-challenged’ devices. Depending on your installed shell. Replace with ‘startxfce4’ or ‘startkde’ or ‘startunity’ depending on your target release. 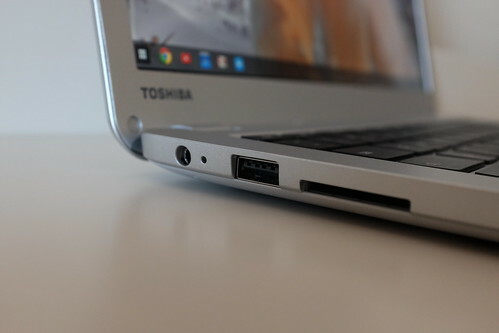 Just got myself (actually it’s for our Office Manager back in OZ) one of these Chromebooks while in Europe (since Google Australia with their absolutely hopeless hardware strategy do not seem to be able to ship any devices – Nexus 4 anyone ?) . Since the first days turned out to be a bit of a frustrating experience, I thought I share some of the findings as I had a hard time finding much useful info on troubleshooting ChromeOS. Do not use WPA (or for that matter WEP) connections with ChromeOS. I had extreme difficulties browsing webpages on the Chrombook. Some pages would load, some pages would not load at all. There seemed to be no consitency to it as some would load one day, but not another. Somewhere in the Google Groups there seemed to be people reporting issues with wireless connections using WEP. It turned out that the Wireless Modem Router (Telekom Austria supplied Pirelli PBS modem) where I was staying was set to WPA encryption only by default. Once I figured out how to set the unit to WPA2 (which these days should really be the default anyway) things started to actually work consistently. Check the sections below (specially chrome://diagnostics) to see how you can find out what’s going wrong. However to save some trouble & frustrations, before you do anything make sure your Chrombook connects using WPA2 ! CTRL+ALT+T will launch the Chrome Shell which is a slightly odd and very cut-down command line shell. Other than a ‘ping’ utility and some debug tools there really seems to be only the ‘ssh’ command that would be very useful to connect to remote systems. Unfortunately the SSH implementation is quite unusual compared to my normal OpenSSH client. To make some serious mods to the Chromebooks you need to boot into Developer mode. On the Samsung 303C ARM Chromebook this is achieved by holding ESC + Refresh buttons when pushing the power button to turn the unit on. Probably best left alone unless you know what you are doing.